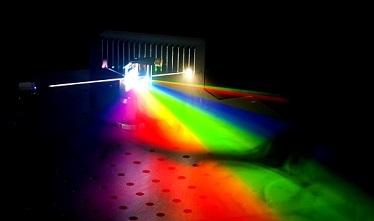 NKT Photonics, announces that it has licensed parts of its unique Photonic Crystal Fiber technology to PicoQuant GmbH for use in their new Solea supercontinuum lasers. The covered patents include NKTs fundamental methods for drawing and subsequently processing the fibers for use in systems. The license given covers using NKT Photonics fibers for making supercontinuum light sources comprising a gain switched laser diode. Supercontinuum generation has been around since the sixties but it was not until we commercialized the SuperK sources, based on our patented nonlinear photonic crystal fibers, that supercontinuum lasers became a viable alternative to existing light sources. Now, supercontinuum lasers are used in countless applications within e.g. bioimaging and optical characterization and we are happy to drive this change by giving companies around the World access to our technology needed to produce supercontinuum fiber lasers. Posted in News and tagged crystal fiber, license, nkt photonics, patent, supercontinuum.